With Bollywood now a massive force in the world movie market, India‑based Philtre Labs have followed up last year's release of Bollywood Grooves (SOS March 2008) with a new title, Bollywood Elements. 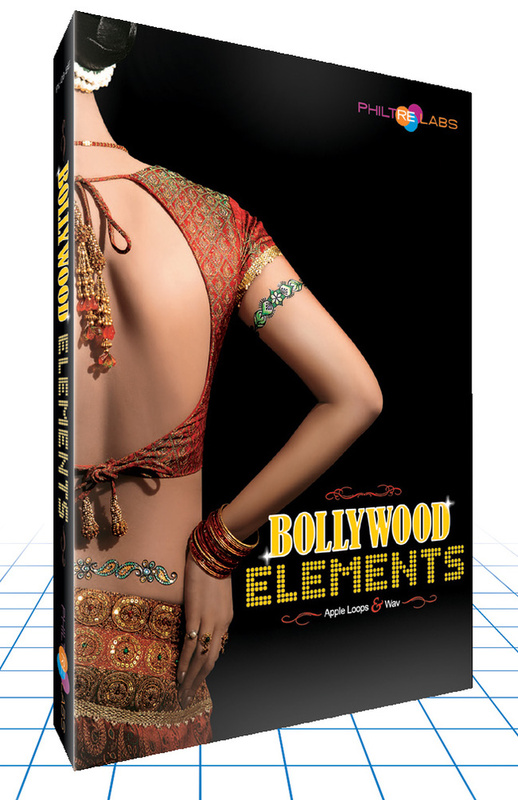 The former title was based on performances from various rhythm ensembles, but Bollywood Elements focuses on melodic instruments, so the two libraries form a nice complimentary pair. All the loops are once again presented in 24‑bit, 48kHz format (48kHz being the 'norm' in the film and TV world), although they're presented in mono rather than stereo. Over 1.3GB of sample data is provided, covering over 1000 loop and one‑shot files. A good selection of traditional instruments associated with Indian music have been sampled. These include a Bulbul tarang (Indian banjo), Bansuri flutes, a Mandolin, the wonderfully expressive and evocative Sarangi, the Sarod (similar in sound to a Sitar, but more mellow), Sitar, Shehnai (a reed‑based instrument, not unlike a raspy Oboe), Tumbi (a high‑pitched single string instrument), Ravan‑hatta (a string instrument with percussive bells) and a Shankh (conch‑shell). The samples are organised into folders by instrument, and in most cases both loops and one‑shot phrases are provided. The latter include phrases that are not played strictly to tempo, and therefore retain a more 'human' feel. All of the instruments are well played, and there's plenty of genuine Indian atmosphere. I particularly liked the Tumbi samples: the almost scratchy, banjo‑like tone and the short sustain make it ideal for repeated phrases to sit under other instruments or a vocal. As with many of the other instruments, the filenames give useful information on the original tempo and key. My other favourite is the hauntingly beautiful Sarangi. There are some fabulous phrases and, whether they're solo or mixed with some subtle percussion, an instant mood is created.